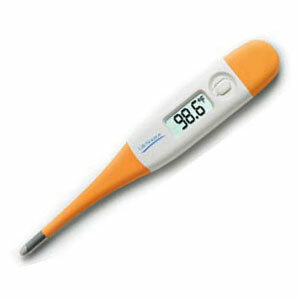 LifeSource Digital Thermometers offer fast, safe and comfortable temperature readings. The automatic last measurement memory feature allows users to easily track their temperature level. When peak temperature is reached, an audible beep indicates that measurement is complete; oral readings are obtained in as quickly as 30 seconds. In addition, the convenient automatic shut-off feature prolongs battery life.